What is Meth? Can You Overdose? A stimulant drug, methamphetamine (or 'meth') can kill users with dangerous spikes in heart rate, potentially leading to cardiovascular failure. It can also alter brain function and respiration, causing loss of consciousness, brain damage, and dangerous behavior. If you or someone you love has overdosed, the time to seek help is right this moment. Toxic alterations to cardiac rate and rhythm. If you suspect someone you love may have overdosed, don't spend precious time attempting to confirm your suspicions. Even if you're wrong, you'll lose nothing, but if you ignore an overdose, you could cost your loved one his or her life. Aggressive, anxious, angry, or paranoid behavior. GI disturbances--nausea, vomiting and diarrhea. It might come as a surprise to those who think of methamphetamine exclusively as an illegal street drug, but it is actually available as a prescription drug for a limited number of conditions, including ADHD and shift work sleep disorder. Among prescription users--and recreational users who steal or borrow a friend's prescription--exceeding the prescription dosage or taking the drug longer than prescribed by a doctor are key overdose risk factors. Taking more than the prescribed dosage of meth can result in overdose. The person from whom you purchased the drug mislabeled it or mixed it with other drugs. You mix meth with other drugs, especially alcohol or stimulants. You have a health issue that makes overdose more likely, that undermines nervous system function, or that affects cardiovascular health. Endocrine system disorders can change the way your body processes various drugs, and cardiovascular health issues may increase the dangers of overdosing on meth. You take more meth than you usually do because of an addiction. You take multiple doses too close together. It might feel impossible to kick the habit, but it's this sense of hopelessness that keeps so many addicts using. Seeking treatment is the greatest gift you can give to yourself, and doing so could even save your life. Please call us at 1-888-993-3112Who Answers?and choose recovery today. A suspected meth overdose is a medical emergency. Now is not the time to spend endless hours scouring the Internet looking for information about overdoses, call 911 immediately. Anger, aggression or any symptoms that are unusual for you. Some meth users mistakenly believe that by mixing meth with another drug--such a sedatives, alcohol or other depressant drugs--they can reverse an overdose. This is not only untrue; it's also highly dangerous. Only your doctor can effectively treat an overdose, and even then, it can be challenging.There is no pharmaceutical 'antidote' for stimulant overdose of any kind. 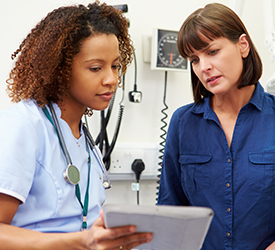 Only your doctor can effectively treat an overdose, and even then, it's a challenging undertaking. If a person you love has a seizure before you arrive at the hospital, gently turn their head to the side in case they vomit. Don't try to move them or hold them still, as doing so could hurt or kill them. If you're a prescription user of methamphetamine, consider talking to your doctor about whether another drug might be just as effective. Taking more than the recommended amount. Using the drug to get high. Mixing meth with any other drugs, especially alcohol or other stimulants, such as Ritalin or Adderall. This can dangerously intensify the meth high and compound the potentially harmful effects that meth can have on your body. If you don't have a meth prescription, the most important step to avoid an overdose is to avoid the use of meth. 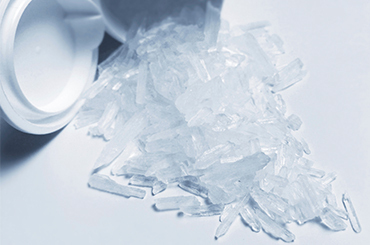 There's no benefit to the recreational use of meth, and plenty of risks. No drug can reverse the effects of meth, and it's neither safe nor possible to treat a meth overdose at home. Giving fluids through an IV. Giving you medications to slow blood pressure and ease anxiety. If you swallowed meth instead of smoking or snorting it, your doctor may give you activated charcoal, a laxative, or both to get the substance out of your body as quickly as possible. The recovery journey is heavily dependent on how meth has affected you. Depending on the severity of the overdose situation, some users may suffer some anoxic brain injury (or 'brain damage') that might interfere with their longer-term functioning or mental health. Psychotherapy, occupational therapy, or speech therapy may help. Often, exercise and a low-fat diet are helpful, but you shouldn't make any lifestyle changes without first consulting your doctor. With proper treatment, these will disappear over the course of several days. You may lose weight as part of the recovery process and will need to find healthy ways to regain it if your doctor says you're too thin or undernourished. In other cases, there are no long-term health consequences, but this doesn't mean you don't need treatment. Meth is highly addictive, with many recreational users eventually becoming addicts. Inpatient treatment, which offers medical care, group support, therapy, and life skills training all under one roof, can help you recover. For those who want a vacation, luxury rehab can make the recovery journey a bit easier. If you're worried about how rehab will affect your professional life, consider an executive rehab program. Too busy for rehab? That doesn't mean you can't get help. Outpatient therapy can teach you the skills you need to resist temptation while offering you plenty of support. Many addicts can recover with the assistance of Narcotics Anonymous, and some opt for brief medical detox programs. Though it may feel impossible now, it is possible to escape the pain of meth addiction, and help you avoid another painful overdose. You can talk to one of our experienced treatment support specialists at 1-888-993-3112Who Answers? to connect with the best meth treatment option available for you.